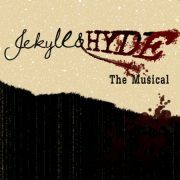 Jekyll & Hyde The Musical is based on the Robert Louis Stevenson thriller “Strange Case of Dr Jekyll and Mr Hyde”, with music by Frank Wildhorn and lyrics and book by Leslie Bricusse. Despite receiving very little critical acclaim, the show was the longest running show to date at the Plymouth Theatre on Broadway, running from 1997-2001. It has also toured the US, the UK, and played in Brazil and Manila. It remains a popular show amongst amateur dramatic societies, with epic orchestration, rousing chorus numbers and some lovely solo numbers which have become popular as audition songs. There will be a revival production opening on Broadway in 2013, following a US tour.